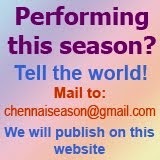 The 'December season' in Chennai starts much in advance. 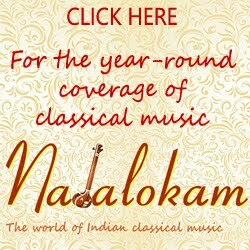 Though the Navaratri concerts in October are held across the city, it is the Bharatiya Vidya Bhavan's cultural Festival in November that starts off the 'season' with popular musicians scheduled at the prime slots in the evenings. 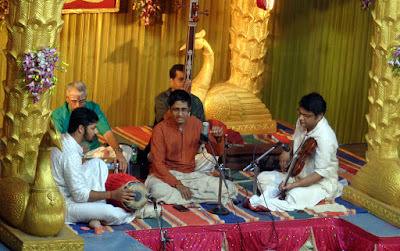 The concerts attract huge crowd as they are not ticketed and the venue is just at the heart of all happenings - Mylapore. This year, the festival began on Nov. 20. The monsoon rains were on through the week. It drizzled outside the auditorium, but it didn't stop the music lovers. 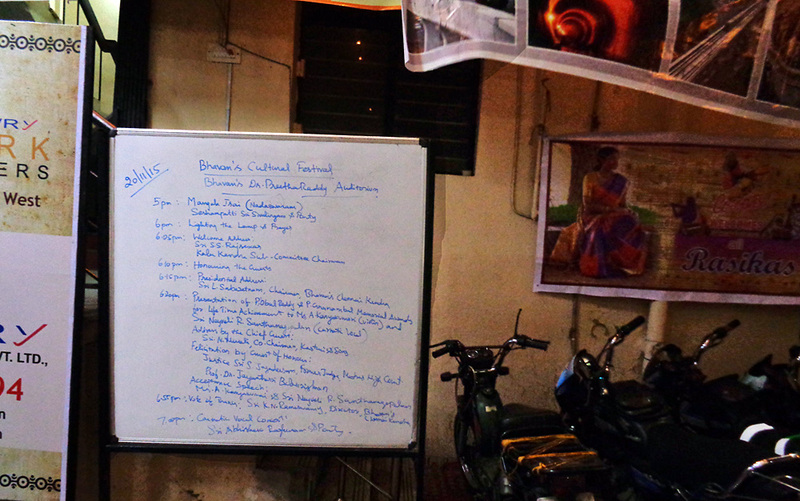 As you enter the premises, a handwritten scribble board with information on that day's event welcomes you. 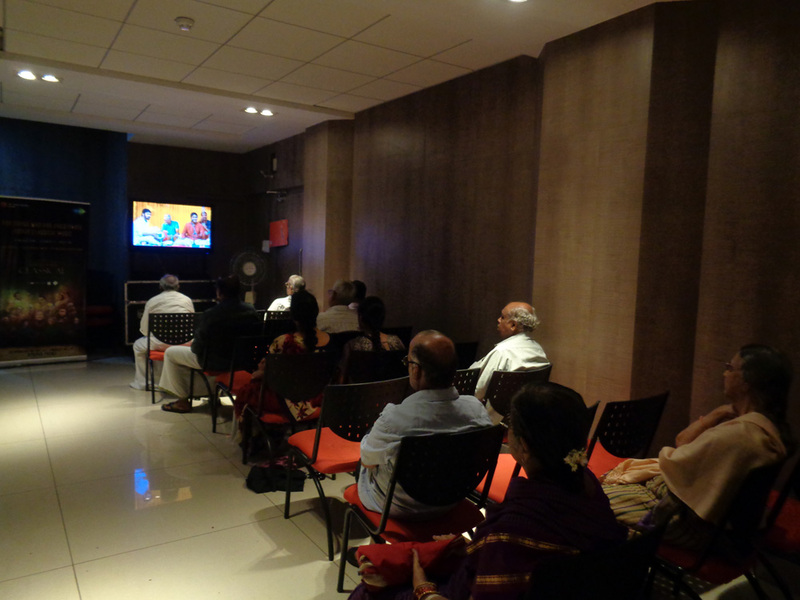 The inaugurations are always boring for a music rasika as they have many people talking. Bhavan's was no exception. But, the organisers do have a reason to talk, to tell the public about all their activities, the support they get and changes they have done to the hall and facilities. 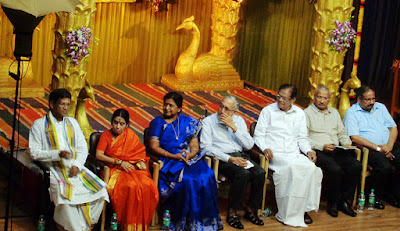 Industrialist L. Sabaretnam, who is also chairman of Bharatiya Vidya Bhavan spoke on Bhavan's achievements the past year and all the activities the organisation hosts. 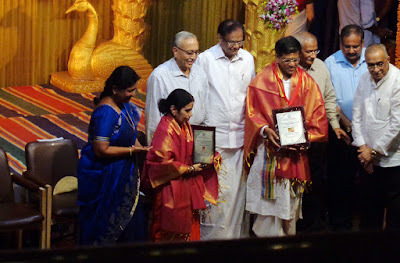 The chief guest of the evening N. Murali of The Hindu and the president of The Music Academy was all in praise of Bhavan for its contribution to heritage and culture. The invited speaker Jayanthasri Balakrishnan, professor of English in PSG College of Arts and Science, Coimbatore. She insisted on bringing children to music concerts. 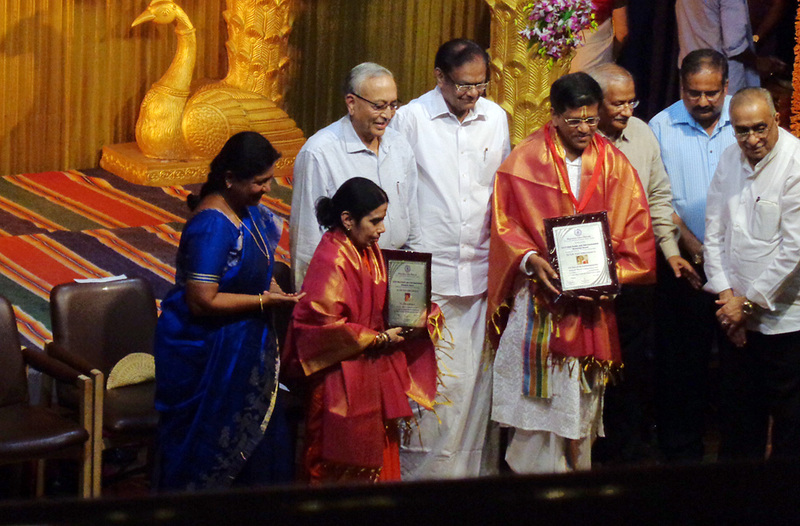 Awardees for the Lifetime Achievement, violinist A Kanyakumari and vocalist Neyveli Santhanagopalan were felicitated and Kanyakumari presented the acceptance speech on behalf of both the awardees. She placed her demand for including instrumental concerts in schedules of the sabhas. "The sabhas say that they do not get audience for instrumental concerts. But, only if they offer, the audience would turn up," she said. 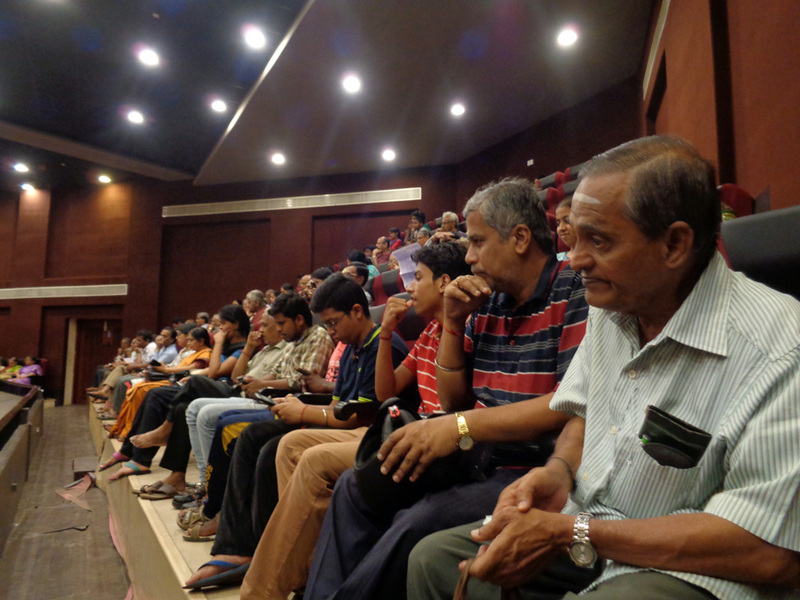 When the stage was cleared for the inaugural concert by Abhishek Raghuram, the ground floor and the balcony were almost full. 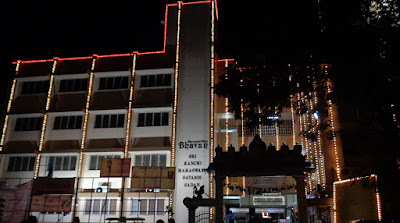 And when Keeravani began flowing in the theveram 'Vaananai madhi soodiya maindanai,' the corridor where two CCTV screens were installed, was getting filled up.